This is supposed to be a caricature of Apsley Cherry-Garrard; polar explorer and author of The Worst Journey in the World. 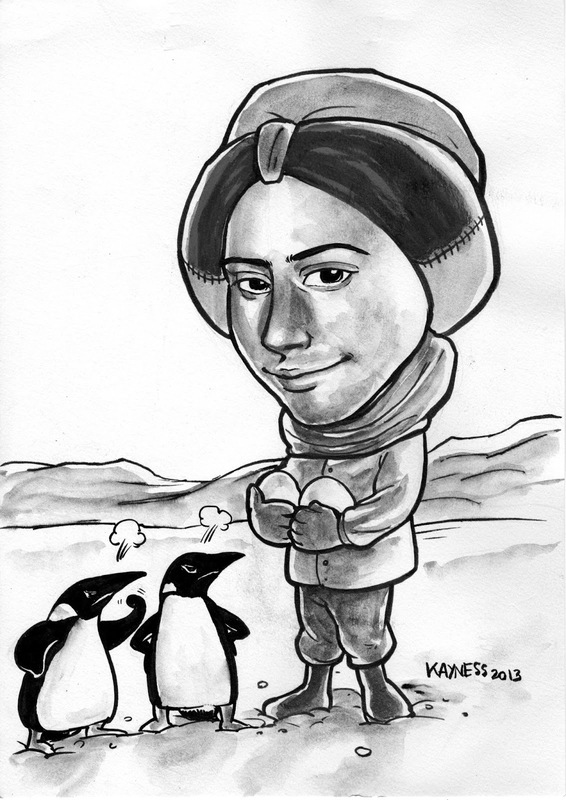 He was one of the youngest members of Robert F. Scott's Terra Nova expedition (1910-13). 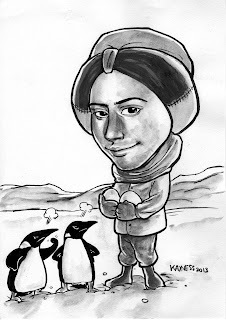 In July 1911 he, with Wilson and Bowers, were tasked to find some Emperor penguin eggs at Cape Crozier for scientific purposes. They secured three eggs, which are now in the collection of Natural History Museum, London. I was kind of experimenting with some water soluble graphite pencils (Derwent Sketching).